We've teamed up with the LOVEly Choc on Choc for a fantastic Valentine's Competition! 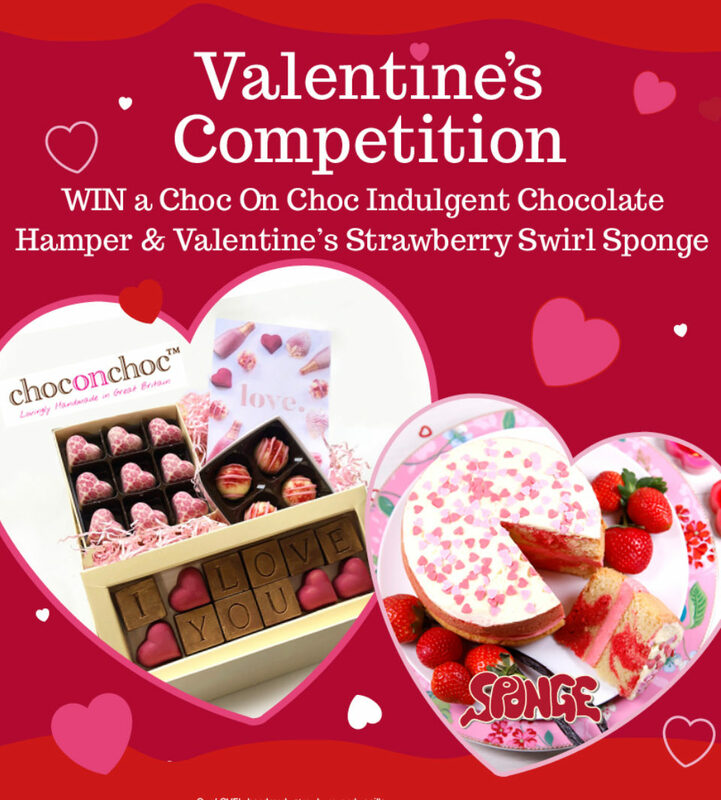 For a chance to win a Choc on Choc indulgent Chocolate Hamper and a Valentine's Strawberry Swirl Sponge simply enter our competition HERE! Nothing says I love you more than chocolate! 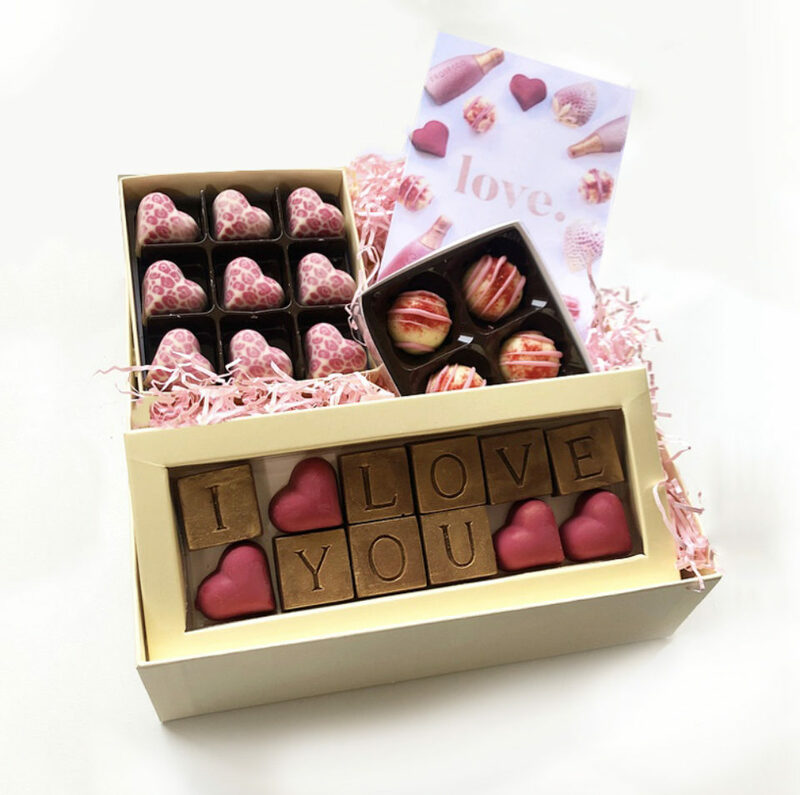 This indulgent chocolate hamper contains a selection of our animal hearts, our luxurious strawberry champagne truffles, and an 'I Love You' engraved message in gold-dusted milk chocolate. 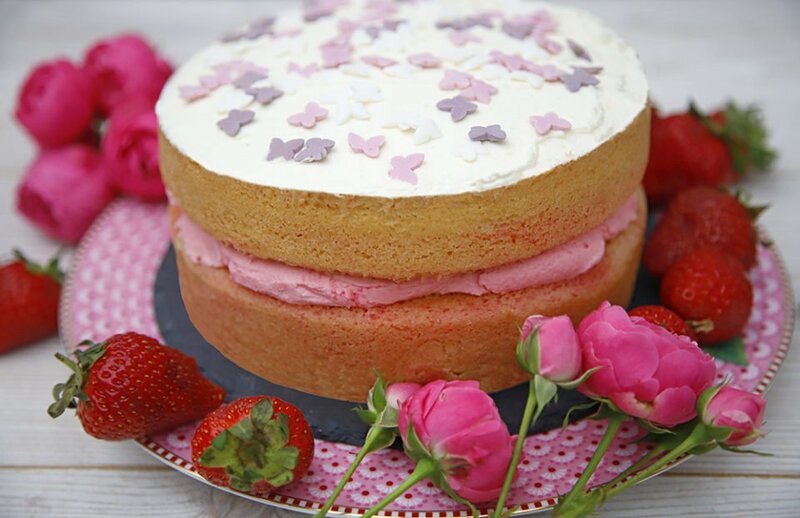 A lovingly handmade strawberry and vanilla flavoured marbled sponge with strawberry flavoured butter icing with little sugar hearts sprinkled on top. It's a perfect sponge to send to the one you love this Valentine's. also available in Gluten Free! Your private information will not be used by Sponge unless you 'opt-in' via the competition form. No data will be shared with any other third parties.